Drink Kona coffee on the Big Island …for FREE! Sweepstakes – Win a trip to Hawaii! ENTER SWEEPSTAKES HERE – San Francisco Bay Gourmet Coffee Sweepstakes page. ENTRY LIMIT – Limit of one (1) Sweepstakes Entry per person, per email address, per day throughout the Promotion Period. Limit of ten (10) Sweepstakes Entries per person, per email address during the Promotion Period. ELIGIBILITY – The Promotion is open only to legal residents of California, Washington and Oregon, who are 21 years of age or older as of date of entry. 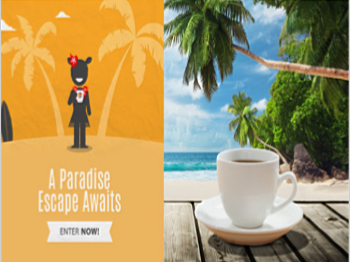 SWEEPSTAKES ENTRY PERIOD – The Drink Kona coffee on the Big Island …for FREE! (the “Promotion”) begins at 9:00:00 AM Pacific Time (“PT”) on November 26, 2018 and ends at 11:59:59 PM PT on December 31, 2018. 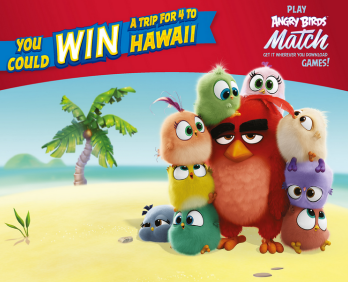 Hostess Angry Birds Sweepstakes – Win a trip to Hawaii! 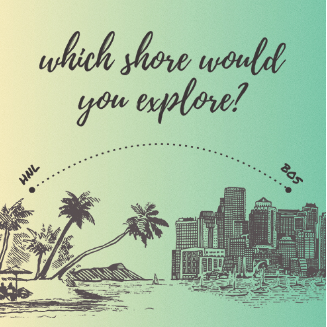 Win a trip to Honolulu, Hawaii! ENTER SWEEPSTAKES HERE – Hostess Sweepstakes page. ENTRY LIMIT – Limit one (1) Entry per person/email address, per day. SWEEPSTAKES ENTRY PERIOD – The Hostess Angry Birds Sweepstakes (the “Sweepstakes”) begins at 10:00 AM Eastern Time (“ET”) on July 23, 2018 and ends at 11:59 PM ET on September 28, 2018. PRIZES – One (1) Grand Prize, consisting of a five (5) day/four (4) night trip for the winner and three (3) guests to Honolulu, Hawaii [awarded in the form of a Delta Vacations Certificate (“Certificate”)]. Trip includes roundtrip main cabin air transportation from the major airport nearest winner’s home serviced by Delta Air Lines (in Sponsor’s sole discretion) to Honolulu, Hawaii (Certificate is redeemable for up to $1,200 towards air transportation per person), four (4) nights’ hotel accommodations [one (1) room/quadruple occupancy] at a participating Delta Vacations hotel (Certificate is redeemable for up to $1,200 towards hotel stay) and round trip ground transfers between airport/hotel in Honolulu, Hawaii (Certificate is redeemable for up to $250 towards ground transfers). The ARV of the Grand Prize is $6,250. WINNER’S LIST – For the name of the Grand Prize winner, available after October 31, 2018, send a stamped, self-addressed envelope by November 30, 2018, to: Hostess Angry Birds Sweepstakes Winner, c/o Don Jagoda Associates, Inc., Dept: AM, 100 Marcus Drive, Melville, NY 11747. Aftershokz Honolulu Marathon Sweepstakes – Win a trip to Hawaii & more! 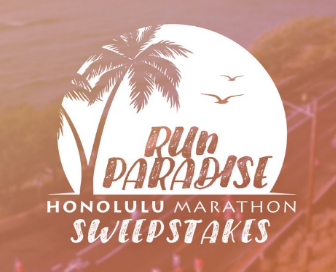 Win a trip to Hawaii for the Honolulu Marathon! ENTER SWEEPSTAKES HERE – Aftershokz Sweepstakes page. ENTRY LIMIT – Each Entrant is limited to one (1) entry. ELIGIBILITY – Sweepstakes is open only to legal residents of the fifty (50) United States and the District of Columbia, who are eighteen (18) years of age or older as of the date of entry. SWEEPSTAKES ENTRY PERIOD – Sweepstakes begins at 12:00:01 am Eastern Day Time (“EDT”) on June 25, 2018 and ends at 11:59:59 pm EDT on July 23, 2018. PRIZES – GRAND PRIZE: One (1) grand prize will be awarded, consisting of: Round-trip coach class airfare for Grand Prize Winner and one (1) guest to Honolulu, HI from the major U.S. airport nearest Grand Prize Winners residence within the 48 contiguous U.S.; Hotel accommodations for four (4) nights at the Waikiki Beachcomber by Outrigger (one room, double occupancy, room rate, resort fee and tax only); Up to two (2) Honolulu Marathon and Kalakaua Merrie Mile race entries; One (1) AfterShokz Trekz Air; One (1) Garmin Forerunner 645 Music; One (1) $300 Visa Gift Card; One (1) 6-month supply of nuun electrolytes; One (1) $250 runinrabbit.com Gift Card; One (1) FlipBelt Prize Pack*. Total approximate retail value (“ARV”) of the Grand Prize is $4,000.00. ARV of Prizes may vary depending on point of departure, travel dates and fare/rate fluctuations. RUNNER-UP PRIZE: One (1) runner-up prize will be awarded, consisting of: One (1) AfterShokz Trekz Air; One (1) Garmin Vivoactive 3 Music; One (1) FlipBelt Prize Pack*; One (1) 6-month supply of nuun electrolytes; One (1) $100 runinrabbit.com Gift Card. Hawaiian Airlines Relaxcation Sweepstakes – Win 140,000 HawaiianMiles & more! Win 140,000 HawaiianMiles & more! ENTRY LIMIT – Limit: You may enter one (1) time during the Promotion Period, regardless of method. 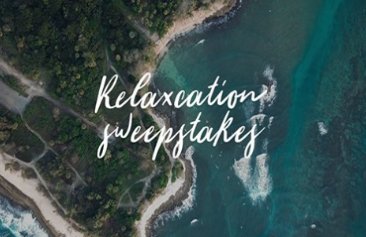 ELIGIBILITY – Relaxcation Sweepstakes is open only to legal residents of the fifty (50) United States and the District of Columbia who are at least eighteen (18) years old at the time of entry. SWEEPSTAKES ENTRY PERIOD – The Sweepstakes begins on February 1, 2018 at 12:00 a.m. Hawaiian Time (“HT”) and ends on February 28, 2018 at 11:59 p.m. HT. 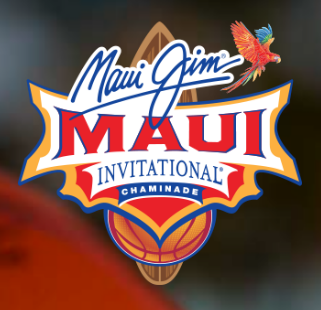 PRIZES – ONE (1) GRAND PRIZE: 140,000 HawaiianMiles; three (3) nights’ accommodation (single room, double occupancy) and parking at the Moana Surfrider, A Westin Resort & Spa (located on O‘ahu); and a Heavenly Spa Signature Massage for two (2). All hotel and massage details will be determined by Sponsor in its sole discretion. Approximate Retail Value (“ARV”): $8,085. Disney Magic of Storytelling Sweepstakes – Win a trip to Hawaii! 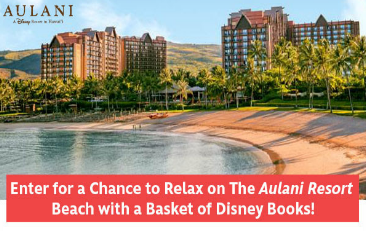 Win a trip to Hawaii and a stay at Aulani! ENTRY LIMIT – Entries are limited to one (1) Entry per Member per day for each day during the Entry Period. ELIGIBILITY – : Open to persons who are 13 years of age or older who are legal residents of, and physically located within, the 50 United States, or District of Columbia. SWEEPSTAKES ENTRY PERIOD – You may enter this Sweepstakes via the internet during the period beginning at 12:00 PM PT, December 29, 2017 and ending at 11:59 PM PT, March 31, 2018. PRIZES – One (1) Grand Prize: One (1) Grand Prize will be awarded to a Winner which consists of a five (5) day / four (4) night vacation for Winner and up to three (3) guests to Honolulu, HI on dates selected by Winner, subject to restrictions listed below, availability and approval by the Grand Prize supplier. The Grand Prize consists of the following elements for the Group: [a] hotel accommodations at Aulani, A Disney Resort & Spa in Ko Olina Hawai’i (one (1) standard room/quad occupancy, including room tax) for four (4) consecutive nights; [b] if Winner’s residence is located other than on the Island of Oahu, round-trip coach air transportation on a Sponsor selected carrier between a Sponsor-selected major metropolitan airport near Winner’s residence (“Airport of Origin”) and the Honolulu International Airport; [c] if air transport is provided, airport/hotel transfers; [d] one (1) Disney Gift Card with a value of five hundred ($500) dollars (for Winner only and subject to restrictions). If the Grand Prize is awarded to a non-resident of California, the Grand Prize will also include an estimated cash amount of $399.28, which cash amount will be withheld to defray his/her payment of taxes due as a result of winning this Grand Prize. ARV: (i) $5,704.00 (if Winner is a resident of California); or (ii) $6,103.28 (if Winner is not a resident of California), which will vary depending upon point of departure and seasonal fluctuation of hotel rates and airfares. All benefits and payments in connection to the Grand Prize are personal to the Winner and are not redeemable for cash and neither is assignable nor transferrable. Five (5) First Prizes (each a “First Prize”): Five (5) First Prize Winners will receive a Sorcerer’s Apprentice book and a limited edition lithograph. ARV: $40. Hawaiian Airlines Pick Your Paradise Sweepstakes – Win a trip to Hawaii! Win 140,000 Hawaiian Airlines HawaiianMiles and four (4) nights’ accommodations at a Hilton hotel! 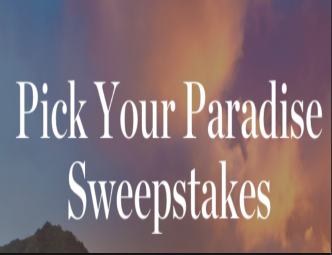 ELIGIBILITY – Pick Your Paradise Sweepstakes is open only to legal residents of the fifty (50) United States and the District of Columbia who are at least eighteen (18) years old at the time of entry. SWEEPSTAKES ENTRY PERIOD – The Sweepstakes begins on November 1, 2017 at 12:00 a.m. Hawaiian Time (“HT”) and ends on November 30, 2017 at 11:59 p.m. HT. PRIZES – ONE (1) GRAND PRIZE: 140,000 Hawaiian Airlines HawaiianMiles and four (4) nights’ accommodations (single room, double occupancy) at winner’s choice of one (1) of the four (4) following hotels: Hilton Hawaiian Village Waikiki Beach Resort on Oahu; Hilton Waikoloa Village on Hawaii Island; Hilton Garden Inn Kauai Wailua Bay on Kauai; OR Grand Wailea on Maui. All other hotel details will be determined by Sponsor in its sole discretion. 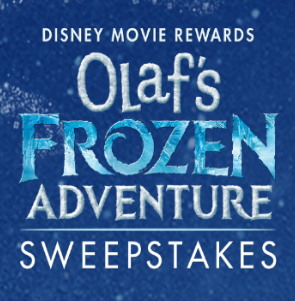 Disney Movie Rewards Olaf’s Frozen Adventure Sweepstakes – Win a trip to Hawaii! ENTER SWEEPSTAKES HERE – Disney Movie Rewards Sweepstakes page. Note: You must be a member of DMR to enter – it’s free to join! (1) Points Entries: Log into your DMR member account, navigate to the “Sweepstakes” tab, and redeem 5 of your DMR points to receive one (1) additional entry into that Round’s random drawing (“Points Entry”). All Points Entries must be redeemed by the Deadline end date listed in the Round and Drawing Chart in Official Rule #4 above to be eligible for that Round’s random drawing. (2) AMOE Entries: To receive an additional entry without redeeming 5 DMR points, hand print your complete name, street address, telephone number, email address and your DMR member account username on a 3” x 5” card/paper, and mail in a postage-paid envelope to: Disney Movie Rewards Olaf’s Frozen Adventure Sweepstakes AMOE, P.O. Box 1029, Neenah, WI 54956- 1029 USA (“AMOE Entry”). Limit of one (1) AMOE Entry per outer envelope. Each AMOE Entry must be postmarked by the End date and received by the Mail-In Deadline listed in listed in the Round and Drawing Chart in Official Rule #4 above, to be received by the AMOE Mail-In Deadline date listed in the Round and Drawing Chart in Official Rule number 4 above to be eligible for that Round’s random drawing. There is a limit of 99 combined Points Entries and AMOE Entries per person per Round, and a limit of one (1) Automatic Entry per person per Round. ELIGIBILITY – The Disney Movie Rewards Olaf’s Frozen Adventure Sweepstakes is only open to entrants who, at the time of entry, are: (a) natural persons who are legal residents of one of the 50 United States and the District of Columbia or Canada (excluding Quebec), (b) 13 years of age or older, and (c) members of Disney Movie Rewards Loyalty Program (“DMR”). If an entrant is a minor, as defined by the jurisdiction of the entrant’s primary residence (“Minor”), permission of a parent or guardian is required to participate in the Sweepstakes. SWEEPSTAKES ENTRY PERIOD – Sweepstakes begins at 12:00:00 A.M. Pacific Time (“PT”) on November 20, 2017 and ends at 11:59:59 P.M. PT on January 3, 2018. -If Prize Winner’s residence is located other than on the island of Oahu, up to four (4) roundtrip coach airfares between a major metropolitan airport near Prize Winner’s residence (“Airport of Origin”) and the Honolulu International Airport (each as determined solely by Prize Provider, with possible stopovers) for the Prize Winner and up to three (3) guests (together with the Prize Winner, the “Group”). 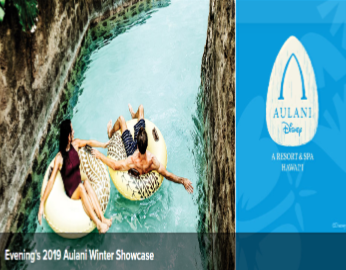 -Room accommodations consisting of one (1) standard room (with a maximum of four (4) persons per room) for the Group for four (4) nights at Aulani, A Disney Resort & Spa in Ko Olina, Hawai’i (the “Resort”). -Ground Transportation to/from Honolulu International Airport and Aulani, A Disney Resort & Spa. -Travel taxes imposed on ground and air transportation. The approximate retail value (“ARV”) of the vacation package is $5,600.00 USD / CAD $7,173.82. Winner is responsible for all applicable federal, state and local taxes. Winners will receive a Federal Tax Form 1099. A one-of-a-kind Olaf scarf. A one of a kind Olaf’s Frozen Adventure scarf. ARV: $25.00 USD / CAD $32.03 each. The ARV of all First Prizes is USD $500.00 / CAD $640.60. A $25.00 Disney Gift Card and an Olaf plush. ARV: $34.95 USD / CAD $37.81 each. The ARV of all Round 1 Prizes is USD $3,495.00 / CAD $3,781.00. The Disney Gift Card is redeemable at the Walt Disney World® Resort, Disneyland® Resort, Disney Cruise Line®, Disney Store locations in the U.S., Canada, Puerto Rico, and shopDisney.com. The Disney Gift Card is subject to the terms and conditions available at http://www.disneygiftcard.com/terms. Disney Gift Card Services, Inc. is the card issuer and sole obligor to cardholder and reserves the right to change the terms and conditions of the Disney Gift Card. The Disney Gift Card is denominated in United States Dollars. The Disney Gift Card is not refundable or redeemable for cash unless required by law and is not redeemable to purchase another gift card or Disney Dollars or towards previously purchased goods or services. One Hundred (100) Round 2 Winners: Olaf’s Frozen Adventure Digital Soundtrack ARV: $6.99 USD / CAD $9.00 each. Ten (10) Round 2 Winners: A signed Songs From Frozen (Picture Disc) – Vinyl Record ARV: $21.98 USD / CAD $28.31 each. The ARV of all Round 2 Prizes is USD $918.80 / CAD $1,183.10. ONE HUNDRED (100) ROUND 3 WINNERS: Two (2) Disney movies of winner’s choice from among the options provided by Sponsor. ARV: $50.00 USD / CAD $64.39. The ARV of all Round 3 Prizes is USD $5,000.00 / CAD $6,439.00.